Women working in the organised sector will now be entitled to paid maternity leave of 26 weeks, up from 12 weeks, as Parliament on Thursday passed a bill in this regard that will benefit about 1.8 million women. The new law will apply to all establishments employing 10 or more people and the entitlement will be for only up to first two children. For third child, the entitlement will be for only 12 weeks. The Maternity Benefit (Amendment) Bill, 2016 was passed by the Lok Sabha on Thursday, months after the Rajya Sabha approved the measure that takes India to the third position in terms of the number of weeks for maternity leave after Canada and Norway where it is 50 weeks and 44 weeks, respectively. Piloting amendments to the old law, Labour Minister Bandaru Dattatreya said while framing the rules, he would try to ensure that maximum benefits reach the pregnent women. "This is my humble gift to women, a day after the world celebrated the International Women's Day," he said after about 4-hour debate during which some members demanded paternity benefits too, arguing that these days most of the children are born in nuclear families where both the father and the mother have to take care of the child. The Maternity Benefit Act, 1961, protects the employment of women during the time of her maternity and entitles her full paid absence from work, to take care for her child. Among other things, the bill provides for 12 weeks of maternity leave to a woman who legally adopts a child below three months of age and a commissioning mother (defined as a biological mother) who uses her egg to have a surrogate child. 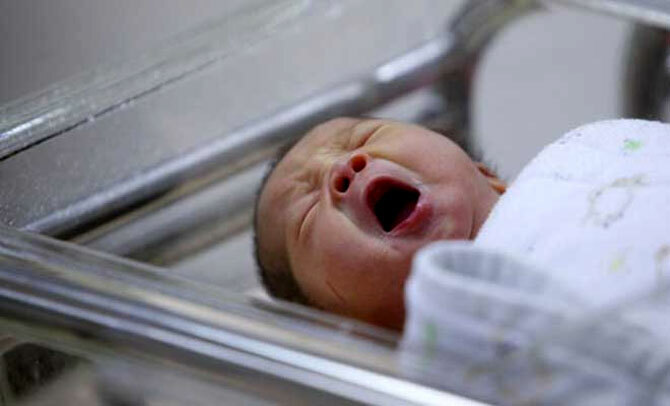 In such cases, 12-week period of maternity leave will be calculated from the date the child is handed over to the adoptive or commissioning mother. The bill also requires every establishment with 50 or more employees to provide crèche facilities within a prescribed distance. The woman will be allowed four visits to the crèche in a day. This will include her interval for rest. It has also made a provision under which an employer can permit a woman to work from home, if the nature of work assigned permits her to do so. This option can be availed of, after the period of maternity leave, for a duration that is mutually decided by the employer and the woman. Observing that labour is in the Concurrent List of the Constitution, the minister appealed to the state governments to play an active role to ensure that all benefits reach women. He said the amendments were "progressive" in nature and would have "positive impact" on women participation and improve their "work life balance". It would be expected of the employer to inform women about the maternity benefits at the time of employment, Dattatreya said. He appreciated the role of some states like Tamil Nadu which are providing more benefits over and above what is mandated in the central statutes. The amendments would ensure that full maternal care is provided during the full bloom period and will encourage more women to join the workforce in organised sector, he added. The central government has already amended its service rules and is providing 26 weeks maternity leaves to its employees. The minister also clarified women working in special economic zones would be entitled to all benefits of the legislation. Responding to concerns expressed by members that benefits would be restricted to only 10 per cent of women working in organised sector, Dattatreya said the government has taken a host of steps for the welfare of unorganised workers. With these changes, India would rank high among the nations providing maternity benefit to women, he said. Indian women will get more maternity leave than what is provided in developed countries like Japan, Germany, the United Kingdom and South Korea, the minister said. Participating in the debate, Sushmita Dev (Congress) said since amendments raise the period of maternity leave to 26 weeks from the present 12 weeks, it could act as a deterrent for the private sector to employ women workforce. "Since the employer has to pay the salary during the leave period, the amendment might turn out to be counter productive. Innovative thing to do would be to bring in paternity benefit," Dev said. She said such a benefit can also be extended to single fathers who adopt a child. She said only 1.8 million pregnant ladies will benefit from the amendments to the bill as 90 per cent of the women workforce is in the unorganised sector. Pritam Munde (BJP) said a father also has equal responsibility towards the child like a mother and paternity benefits would help a couple to raise their child together as majority are now nuclear families. Ratna De Nag (TMC) too made a case for paternity benefit and said her state government in West Bengal is already providing paternity leave for 30 days. Tathagata Satpathy (BJD) termed the Maternity Benefit (Amendment) Bill, 2016, a social bill and said instead of reducing the period of leave from 26 week to 12 week after the second child, the Centre should say that up to third child there would be 26 week leave and after that no leave. He too sought paternity benefits. The Rajya Sabha had passed the bill in August last year.